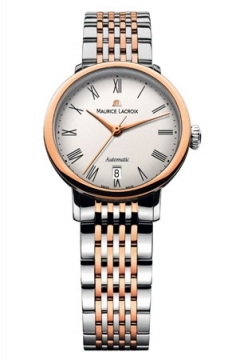 The name Maurice Lacroix stands for decades of experience in the production of high-quality watches. In 1961, Zurich-based Desco von Schulthess AG acquired an assembly facility in Saignelégier, a town in the Canton of Jura, where it produced private label watches for the national and international market. 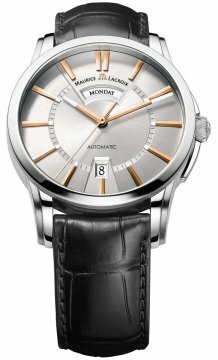 In 1975, the company laid initial foundations for its successful corporate history by introducing its first watch under the name of Maurice Lacroix in Austria. The brand was launched on the Spanish market a year later and, after another four years, the company founded its own sales organization in Germany. Then, two decades after launching its first watch, the company successfully entered the US market in 1995. In the fall of 2001, Maurice Lacroix S.A., previously a division of Desco von Schulthess AG, became an independent legal entity, thus generating ideal conditions in which to achieve its ambitious international growth targets. 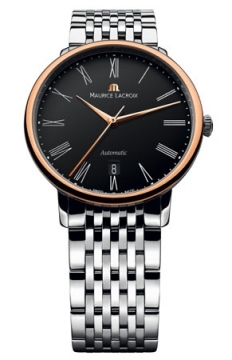 Today, Maurice Lacroix, which has a total of 250 employees worldwide, is one of the most successful Swiss watch brands, both nationally and internationally, and is represented in 45 countries all over the world. The company, one of the few independent Swiss watch manufacturers, has already established itself as a market leader in Germany in the upper middle-price segment, while in the USA the brand is one of the most dynamic in the industry. Over the years, Maurice Lacroix has made significant investments to expand Queloz SA, a case manufacturer that it acquired in 1989, and its assembly facility in Saignelégier, and has made every effort to continuously keep the technology up-to-date. Investments were not restricted to infrastructure but were also made to optimise all internal processes. The assembly facility - together with the training and information centre opened in 2001 and the extension completed in January 2002 - is currently one of the most modern in the industry. The company thus put itself in an ideal position to use these state-of-the-art ateliers to design and put together its watches with a great deal of passion and precision. Around 150,000 top-quality timepieces now leave the Saignelégier facility each year and are distributed to customers all over the world. In spite of the rapid change and growth, one thing has always remained the same - the company's love of design, perfection, and fine materials. Maurice Lacroix is particularly proud of the crown jewels of its collections - the classic, mechanical "Masterpiece" watches. 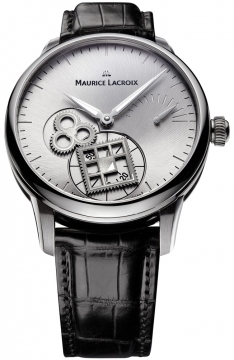 The experience Maurice Lacroix has gained from this precise art of watch-making is also incorporated into the "Milestone", "Intuition", and "Sphere" collections. At the same time, the company is continuing to promote its proven classics, "Miros" and "Pontos". At the beginning of the new millennium, Maurice Lacroix has established a milestone with its diverse product portfolio.